As the convention panel came to an end, the four audience members stood to their feet, awkward expressions across each of their faces as they slowly, and somewhat too eagerly, left the small room. The two speakers sat still and quiet on their risen stage at the front, the one on the left with his head looking down at the table in front of them, the other staring off into space. After several long silent moments passed Damon Lindelof spoke, as his trembling hand reached for a glass of water in front of him. "Well, that went better than the last panel. At least four people showed up." His voice sounded as if it was wavering and he quickly took a drink. "I wouldn't exactly call that a good thing," responded a heavily bearded Carlton Cuse, his hair disheveled and appearing as though it hadn't been combed for some time. After another uncomfortable moment passed Damon spoke again. "I heard you finished your rehab this time. I think that's really great Carlton. I hated seeing you strung out on oxycodone like that. Funny how life imitates art. So what have you been doing to keep yourself busy these days?" Damon never once raised his head or made eye contact with Carlton. "I've been writing a little. I have a project in production right now actually." Cuse was still staring at nothing, off to his left. Damon's head shot up. "Really? You have a project going?" He lowered his head once more, remorse returning to his face. "I still haven't been able to turn on a computer, much less write." "Well, it's just a commercial for Heinz Ketchup. Forty-five seconds long though." Another moment of silence passed as the two sat there, uncomfortably. "God dammit Damon, I told you we should have gone ahead with the Zombie Season!! We never should have left the series. We have to go back Damon...we have to go back." The tears began to well up in Carlton's eyes. "No Carlton, this was the only way. We had to end Lost on our terms. We had to express our creative vision." "Yeah, but now the whole world hates us. We were huge Damon...HUGE! We were celebrities! And now look at us. I look like a drug addicted Grizzly Adams and you can't even look a person in the eye and stop shaking for 2 seconds. In four years you haven't even turned on a computer or picked up a pencil, and all I've got to my writing credit is this damned forty-five second ketchup commercial." Silence, once again, as Damon slowly lifted his head, and turned toward Carlton. Carlton also turned, and the two made eye contact for the first time. "I really miss being called Darlton," Damon exclaimed. "Me too," Carlton responded, as the two men broke out in tears and embraced one another in a long and endearing hug. "I love you Carlton," Damon bawled. "I love you too! We'll get through this." Continue reading The End of LOST. Continue reading 6x12: "Everybody Loves Hugo" Recap. 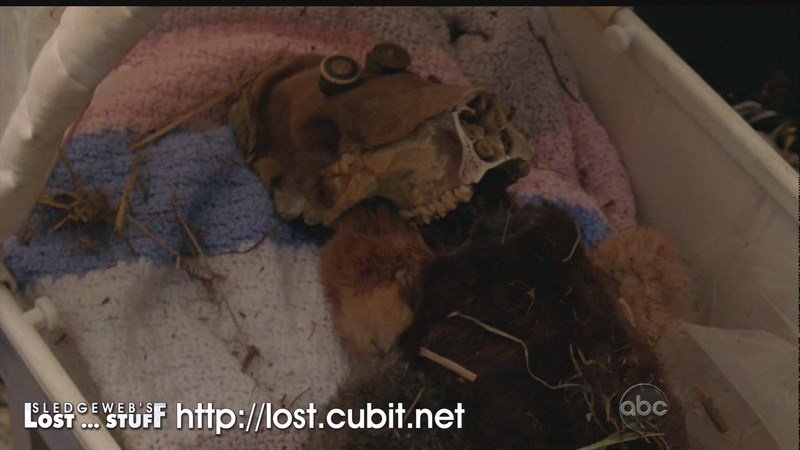 This week on LOST: The writers put every minor detail from the five previous seasons and throw them into a hat. Then they pick one one out every once and a while to throw in a scene so the rabid fans can go, "Ooh!! That's a reference to that time when (fill in the blank)!" This is to distract us from the fact that the show is winding down to the last few episodes and still appears to be raising more questions than answering. Desmond is slowly waking up from sedation and is very confused. Continue reading 6x11: "Happily Ever After" Recap. This episode opens with half of the audience convinced their HDTV's are on the fritz. It turns out to just be night-vision goggle-cam. The camp is being watched by persons unknown. So we all know it's Widmore's people. They are desperate for Sawyer's cocoa stash. But he has them all fooled. It's imaginary. Ha! On the other side of camp, Smocke is reassuring Jin that he will "get his wife." Continue reading 6x10: "The Package" Recap. In tonight's episode we have Richards backstory, more about Jacob and the Man in Black, Richard possibly going insane, brief moments with some Losties, and Richard. Plus an answer or two along the way. Right off the bat the first scene doesn't tell us anything we didn't already know. Jacob is visiting Ilana in the hospital. It's the same scene as from last years finale but extended so we at least get confirmation that she is to protect the last six candidates. Continue reading 6x09: "Ab Aeterno" Recap. This week on LOST, Sawyer gets two different women into the sack at different times. Both of them end up hating him afterwards. But his heart belongs to Miles. Apparently when all the rest of the crazy stuff at the Temple has been happening Sawyer has not been hanging in the cliff cave like we all were wondering, but close by, tending to Jin's bear trap wounds. Continue reading 6x08: "Recon" Recap. After fleeing from the temple and the creeptastic new Sayid, Ben opens this episode by catching up with lady warrior Ilana and her roving pack of ancillary characters. Ben fills them in on the carnage he knows about and then suggests they travel to the beach and the scraggly open aired tent living. This sounds like fun so they traipse away. Continue reading 6x07: "Dr. Linus" Recap. The following article is written by the very respected SWLS user Laklost. I was wrong. I exulted last spring over Locke's resurrection. I called him the New Man. I said he overcame Ben's murderous tactics and would overcome the island's adversaries. Now his intercepted corpse is the evil on the island. Through him the Man in Black has murdered Jacob and has possessed or at least convinced Claire, Sayid and possibly Sawyer. The writers struck a nerve. They turned the island's most faithful believer into the island nightmare. I was wrong, but I'm thrilled. Smokey taking on Locke's form sent the story to the heart of darkness. If he had inhabited any other character, the move would have seemed peripheral. Locke as the MIB casts as bleak a shadow as possible. Continue reading Everything That's Right. Sayid begins this week in the alterverse, getting out of a cab in front of a house in a typical suburban tropical locale. He approaches the front door with roses and is greeted with a smiling and obviously happy to see him Nadia... and her two kids and her husband. Who is also his brother. Continue reading 6x06: "Sundown" Recap. We have a quest writer today at sledgeweb. Ericd543 recongnizes that there are many obvious philosophy references in Lost. There are also many less obvious references. Ericd543 will examine it all after the break. Enjoy the article and please share your thoughts. Continue reading Lost's Unnamed Philosophers. Hey guys, it's JB here with a new weekly installment dealing with the ratings for the episodes. For a quick recap of what we've seen so far, let's take a look back at the first 5 episodes. Episodes 1 and 2, named "LA X," started the season off solidly. Many people noticed the poor CGI section to start off what had been touted as the greatest season premiere of the year. The idea of the alternate timeline (or flash-sideways, as some call it) threw many of us for a loop. Lots of people felt like TPTB (The Powers That Be, for the uninitiated) could have done better for a premiere. The average rating was just under 8, marking it lower than both the Season 5 premiere (8.35) and Season 4 premiere (8.46), although significantly higher than the Season 3 premiere (5.69). Continue reading 6x06: "Sundown" Ratings Review. We didn't have anything like the cave list, or lighthouse list of names in episode 6x06, Sundown, but SWLS member ericd543 has captured a number of images for us... from Dogen's knife case, to the knife itself, to smokey's temple appearance, and much more. Check the images out for yourself after the jump, and let us know what you think or find in the comments below! Special thanks to ericd543! Continue reading 6x06: User Requested Images. So... Remember that Goblet Dharma Film? This final season is suppose to one that provides answers and begins wrapping up the many mysteries of the mythological universe of LOST. Indeed, we have been getting some answers, albeit some new questions as well - and, in that spirit of resolution, I think it is long past time to revisit an unsolved mystery from the blurry line of alternate reality media that emerged during Season Two as the mythology of LOST exploded on screen and off. 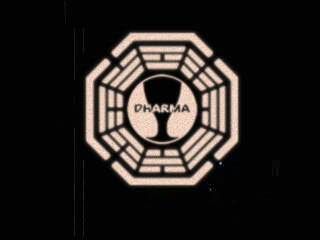 In particular, I'd like to look back and address the issue of the Dharma Procedure Film for the Goblet Station, which surfaced in late March of 2006. More after the jump! Continue reading So... Remember that Goblet Dharma Film?. The latest episode of The Coconut Telegraphy, a LOST fan podcast led by SWLS members JB, Jackii and Adam, that takes a second look at "Lighthouse" was recently released. This episode features yours truly as a special guest, for what its worth. I'm also happy to announce the The Coconut Telegraphy is now the official podcast of SWLS - you can access it using the PODCAST link at the top of the page in the navigation bar. Check it out and let us know what you think in the comments below. 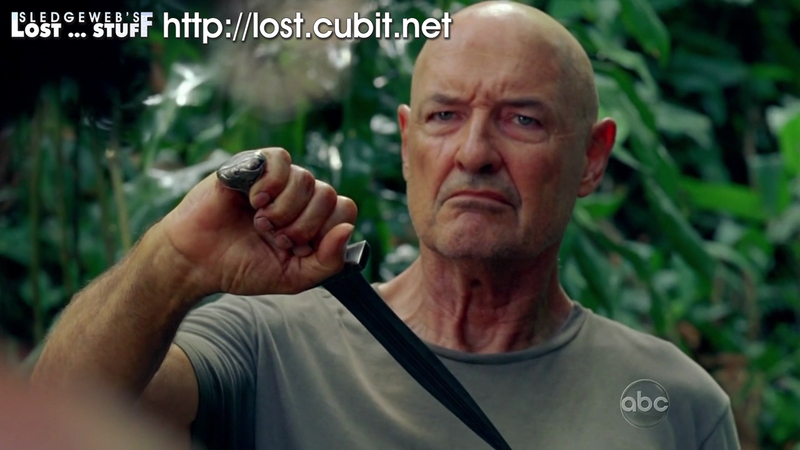 In this episode we discuss the 4th episode of season 6 of Lost, "The Substitute" with Jen, a.k.a. Nejsitsol on Sledgeweb. We go over the list of legible names on the cave ceiling, why Richard ran away like a little girl, and Taller Ghost Aaron/The Little Apparition Boy. Also, there's quite a bit of rambling. Shout-outs to certain SW members abound! Listen and find out if you caught our attention as much as The Substitute. Images for discussion here include Claire's devil baby doll, books and music sheets. Jump in on the conversation or link to any other images you want to discuss from, LOST 605, The Lighthouse. Continue reading 6x05: User Requested Images. In The Lighthouse, Hurley is given a set of directions by Jacob in order to bring someone to the island. Hurley writes the directions on the arm, which apparently tell him to go to the lighthouse and turn the mirrors to a heading of 108. But, what exactly is written on his arm? Here are some images if you want to take a look - after the jump. Let us know what you see in the comments below. 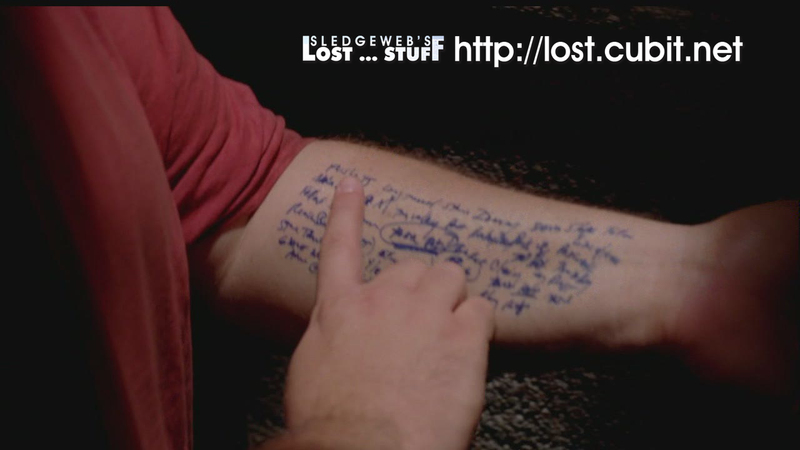 Continue reading 6x05: Images of Hurley's Arm. You hear enough of our opinions on this site! We want to know what our users think! Do you have an idea for an article, review, spoiler material, humorous commentary, parody, or other materials regarding LOST or SWLS? We want to publish your articles on SWLS! Just submit your well written and captivating article to us, and if we like what you have to say, we'll publish it!